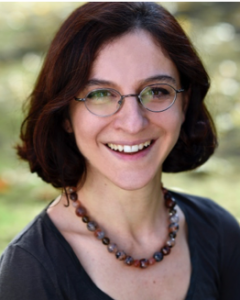 Marcella Vigneri is a development economist and applies quantitative research methods to a range of policy-relevant topics including market and non-market constraints to smallholders’ productivity, the political economy of export cash crops, and the socio-economic dimensions of women’s empowerment. Since 2007 Marcella has been a research collaborator with IFPRI’s Ghana Strategy Support Program, after consulting for the FAO and the World Bank on a long-term project focussing on children’s malnutrition and food security. Previously she worked as a research fellow with the Overseas Development Institute in London. Marcella was the quantitative lead on two large evaluation studies for Oxfam GB on “Women’s Collective Action” in sub-Saharan Africa and for the International Cocoa Initiative on a multi-country labour market study on child labour in cocoa. From 2014 to 2016 Marcella was Global Impact Evaluation Adviser for Oxfam GB, where she played a leadership role in quality assuring the portfolio of Oxfam’s effectiveness reviews. Marcella holds a DPhil in Economics from Oxford University where she did original work on Ghana cocoa farmers based at the Centre for the Study of African Economies.